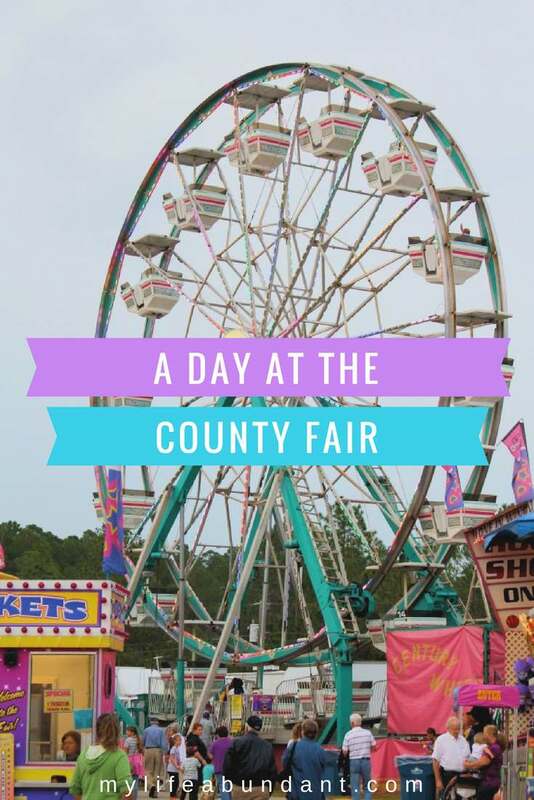 We recently took one of our day trips (the only kind of trip 55+ like to take and can handle) to the county fair. I haven’t been to one of those since I was in my 20’s and I felt like one of the kids running around. 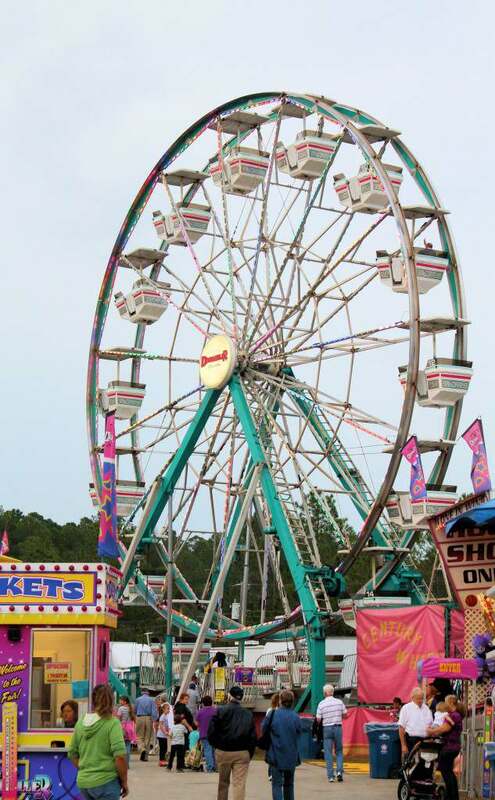 I wanted to eat nothing but junk food (corn dog and ice cream) and look at all the rides and exhibits. 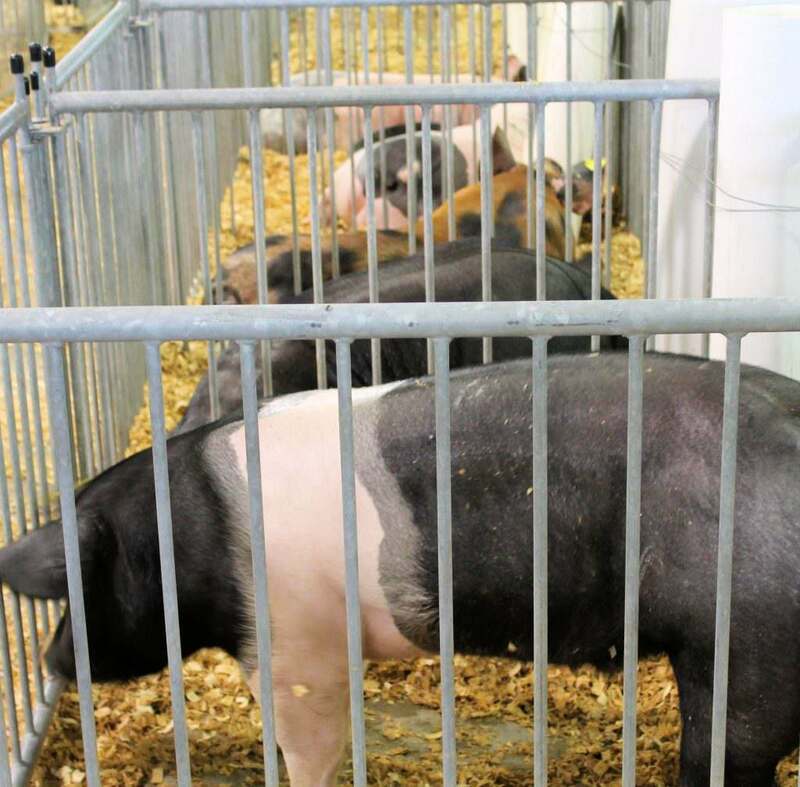 Being raised in a farming community, I had to go check out the livestock. 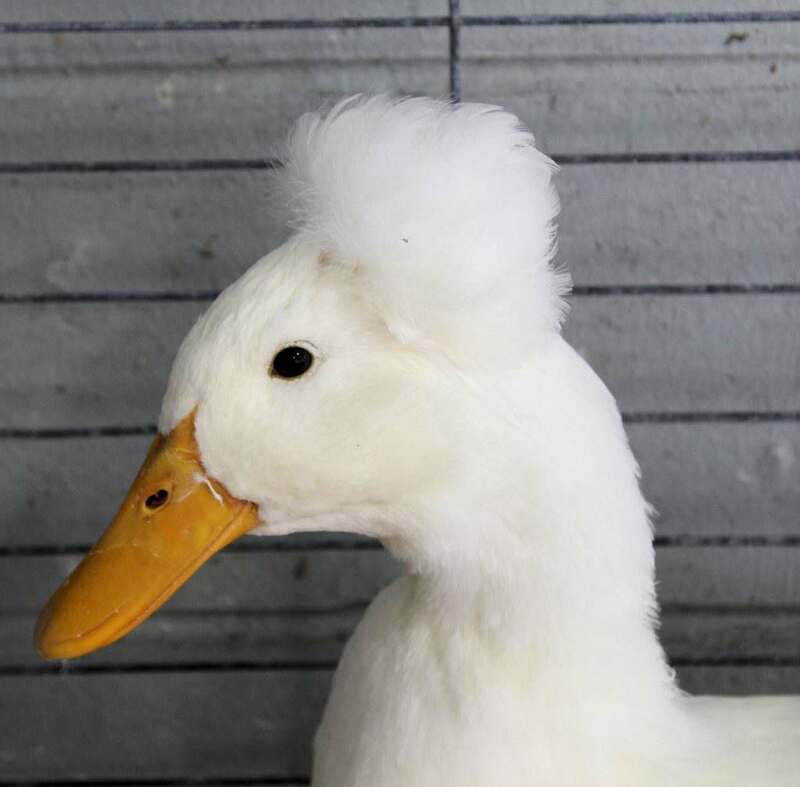 Now I know where Phyllis Diller got her idea for her hairdo. 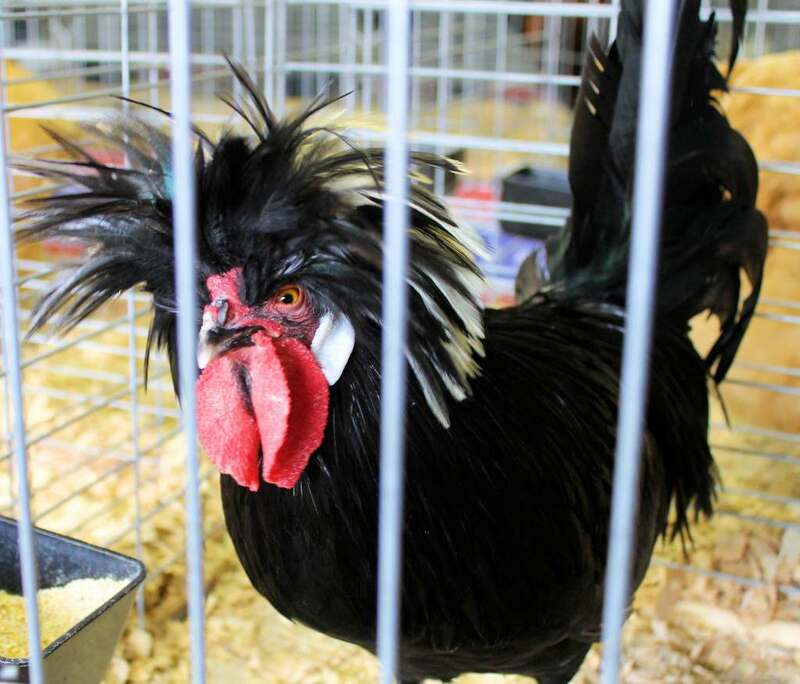 But isn’t that a beautiful rooster. Is that not wild! Aflac!! 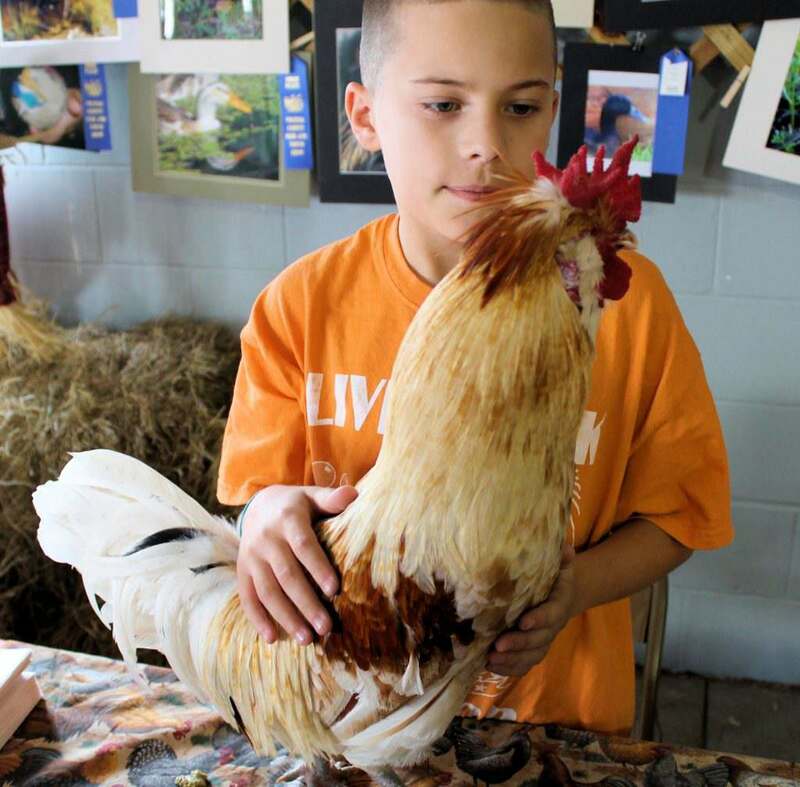 The kids were so proud to show off their animals/pets. If you have been around a chicken house before, you know how bad it smells. Same at the fair, but as soon as we went to the pig, cattle and sheep area, there was no smell. Those were the cleanest piggy’s I have ever seen. While we sat and ate our junk food, they had the best band who played a bunch of oldies but goodies. Let me explain. It was Senior day and I don’t mean high school seniors. I mean 55+ seniors. We also get great prices on tickets and food too! One of the perks you live your whole life for. The lead singer had a great sense of humor and the audience loved it. I haven’t sung and danced that much in a very long time. What fun!! We walked through the ride area (Tilt O Whirl gave me bad memories of times gone by), watched a few people lose their money at the game area and then we walked up on an old-fashioned Freak Show. You know the ones with the two-headed man, bearded lady, the man who could swallow a sword type thing. They even had all the neat signage for the exhibit and actually, I found the signs interesting. Forgot to take a picture though. And let’s not forget that for a $1.00 you could go and see the largest cow and horse in the world!! Sorry I missed that!! 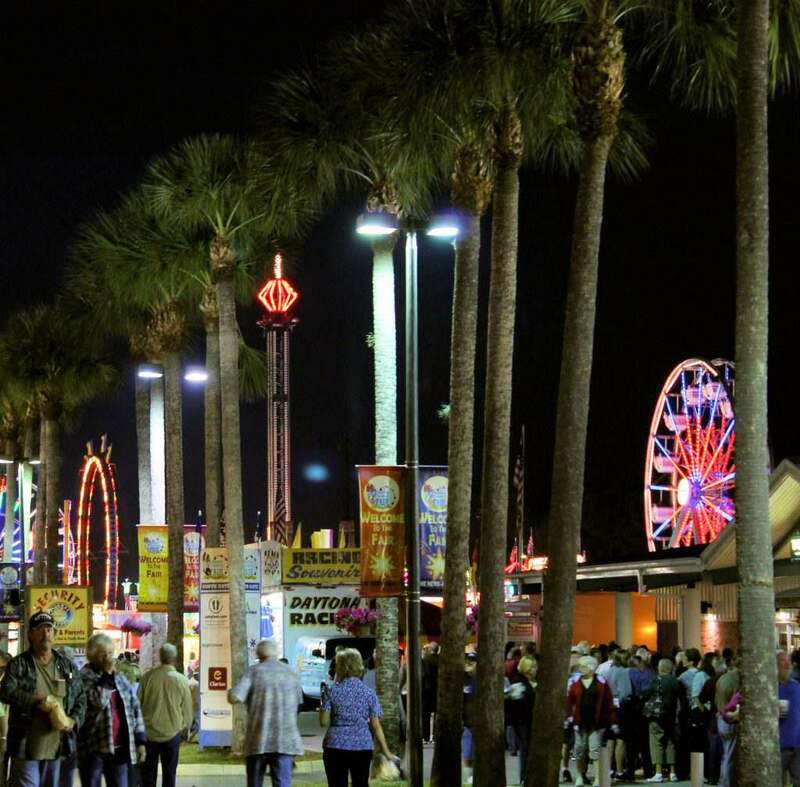 I can’t wait to go to the Florida State Fair this February. I hear its beyond belief and they have a lot of garden exhibits there I can’t wait to see.